The most important part of portable restrooms is cleaning up after you're done. 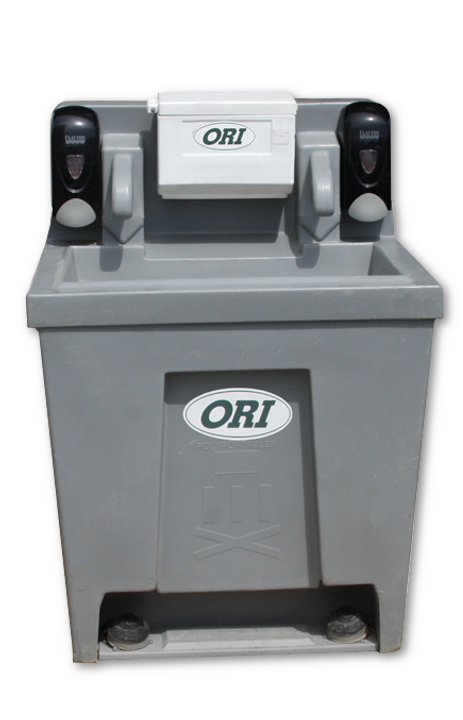 ORI offers great hand sanitation and hand washing stations to fit your needs. From large crowds to small events, we can match your attendance to the correct type of unit. 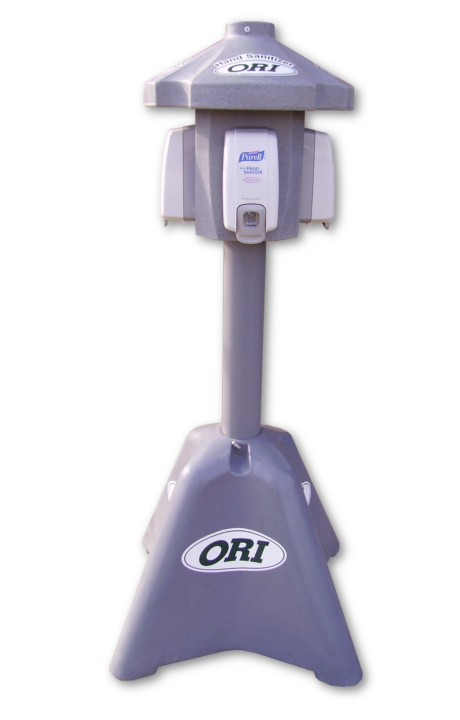 This studry 4 sided hand sanitizer station is the standard equipment for restrooms that aren't already equiped with sanitizers in the unit, or for large events. With 45 gallon reserve it will accomidate plenty of people. Two hand soap dispenzers and hand towels are attatched for your convienence.